Avery Miles is ready to spread her wings and prove her worth on a church mission trip to Iraq, but when their entourage gets blown off course in a desert dust storm, the group is lost in an inexplicable garden oasis. 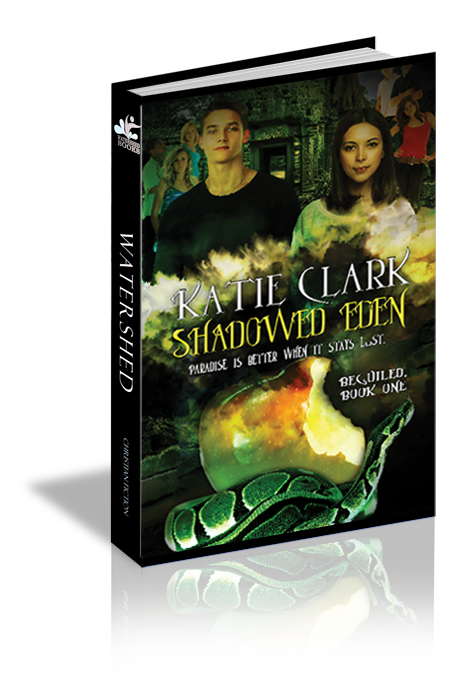 Along with the luscious fruits and crystal springs, Avery and her friends find poisonous snakes, deadly sink holes, and a group of natives that are almost unearthly—but that’s not their biggest problem. No matter which way they trek, they can’t seem to leave. To keep the group safe, Avery steps up and takes charge, but it isn’t long before she realizes things aren’t as they seem. She isn’t the only one seeing the mysterious boy named Rae, and she’s pretty sure her father is sabotaging her rescue efforts. Gathering her courage, Avery must decide what’s most important to her—finally winning her father’s approval, or getting out of the jungle for good. Avery watched from the tarmac as the pilot taxied down the dirt runway. The same plane had just brought her and the rest of the youth group to Iraq, and it was already leaving them behind. Warm air from the jets sent her dark, wavy hair flying, and she brushed it from her face to keep from missing the takeoff. Once the plane was gone, they would be stuck here. Stuck in Iraq with only a few vans to cart them around. The airplane roared into the sky, and even the locals on the airstrip stopped to watch. Avery should have felt nervous at being left behind. Being stuck in a foreign country with no way out. Instead, she smiled. No one at the mission would keep their distance because of her past.